Globes are 10 inches in diameter with a 4 inch bottom opening. 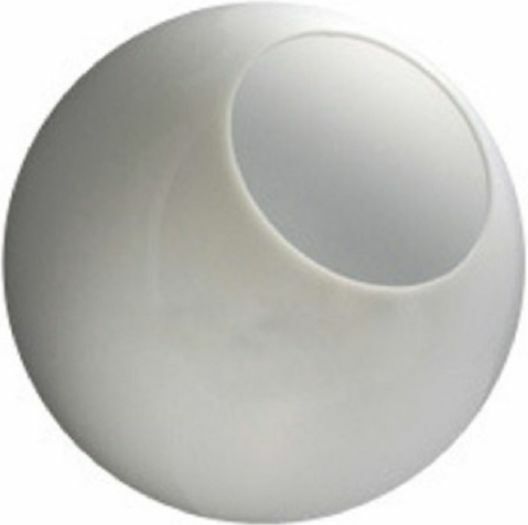 They have a white matte finish and are one piece rotational molded with UV inhibitors to help prevent yellowing. This is a custom cut and is not returnable. They are manufactured in the US.